Twin Waters Golf Club is an internationally recognised golf course which is known as one of Australia’s best and has so many things for visitors to enjoy at this beautiful resort. 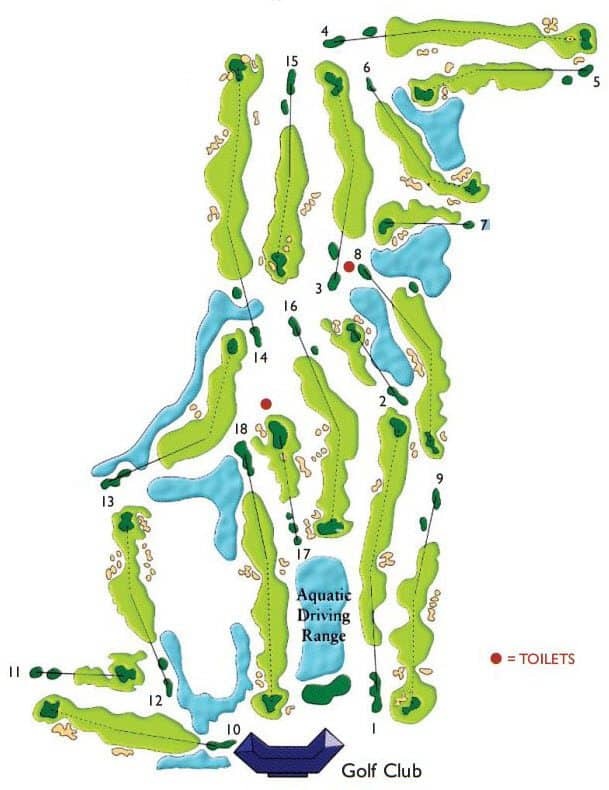 The course is an 18 hole, par 72 championship course that was designed by five times British Open champion Peter Thomson and partner Mike Wolveridge. With a stunning setting and challenging fairways, this course is certainly one of the best on the Sunshine Coast. As this course is a popular members course, please note that there are limited tee times on Wednesday’s and Saturdays’ which is when the members have their tournament days. The 18 hole course will take approximately 4 hours to complete (4 players), so come and enjoy a day out as you wander through the exquisite setting and manicured fairways during your next stay on the Sunshine Coast. Twin Waters also has a driving range available for visitors which is certainly unique. The range has players hitting straight out over a large body of water, which assists golfers in getting used to hitting a ball over challenging conditions. Twin Waters also has a large range of amenities including a bar and restaurant which are fully licenced, which serves hot and cold drinks to visitors, as well as lunch every day of the week. If you are looking for a venue for a birthday, engagement, wedding or corporate event, Twin Waters has the perfect setting overlooking the beautiful gardens and fairways with a range of catering packages available. So come on down to Twin Waters Golf Club and play around at one of the most popular courses on the Sunshine Coast. If you are looking for accommodation during your stay, click the link below to find the best deals.